The Subdivision of Ocean Hill is located on the ocean side of the Villages at Ocean Hill. 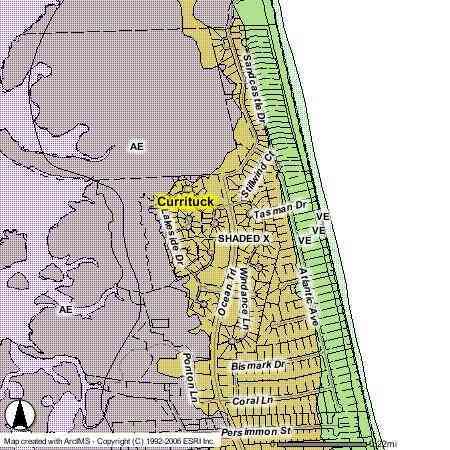 Ocean Hill is one of the first areas to be developed in the Corolla area of the Outer Banks. Back then amenities like pools and tennis courts weren't even thought of so the only amenity you will find in Ocean Hill is the ocean. The lots in the community of Ocean Hill are all big enough to hold a large house with an in ground pool. You will find Ocean Hills just past the subdivision of Corolla Village. Ocean Hill is a small community consisting of a road that runs along the ocean with house on either side, two short side streets and a small cu-de-sac. All of the houses in Ocean Hill have easy direct access to the ocean. The lots are some of the biggest around so there is room for lots of house and a private pool.